11 weeks of 90 minute Craghopper climbing sessions. A regular club ideally suited to children aged 12+ years. Ideal for youngsters wanting to progress their climbing from what they have already learned during Kids Club. Pre-Requisites: to be eligible for Craghoppers your child must be on our Gold level as a minimum. This is due to a decreased level of supervision in line with the safety skills that they have demonstrated throughout their time in Kids Club. All safety equipment is provided and shoes can be hired for an additional £3.00 per session. 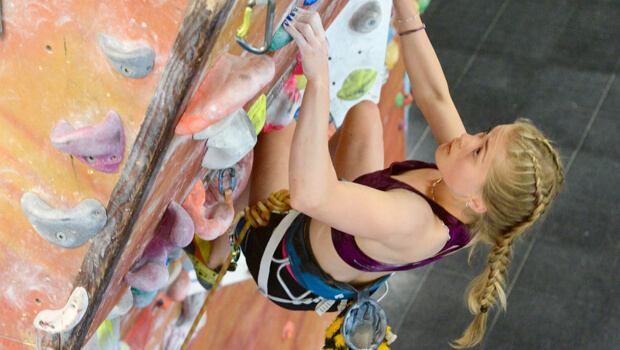 Get the kids learning all about climbing in a fun, safe and comfortable environment! £159 per 11 week term.